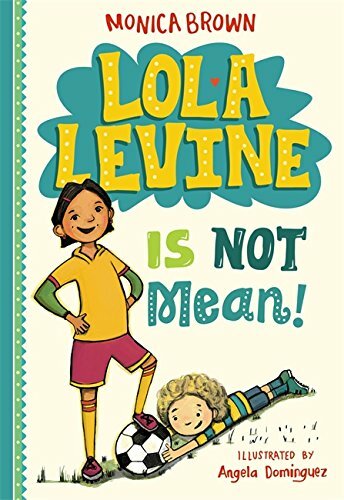 La Bloga: Lola Levine Is Not Mean! Lola loves writing in her diario and playing soccer with her team, the Orange Smoothies. But when a soccer game during recess gets "too competitive," Lola accidentally hurts her classmate Juan Gomez. Now everyone is calling her Mean Lola Levine! 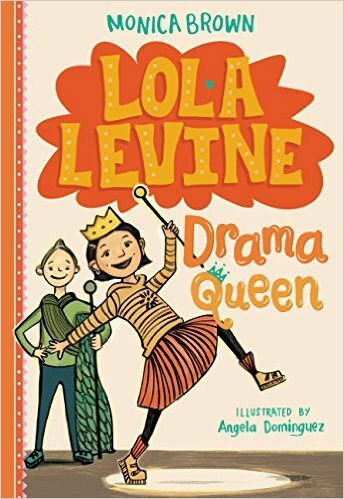 Lola feels horrible, but with the help of her family and her super best friend, Josh Blot, she learns how to navigate the second grade in true Lola fashion--with humor and the power of words. In this first book in a series, Lola's big heart and creative spirit will ring true to young readers. Monica Brown, Ph.D. is the author of many award winning books for children, including Waiting for the Biblioburro, and Marisol McDonald Doesn't Match/ Marisol McDonald no combina. Monica's books are inspired by her Peruvian and Jewish heritage and desire to bring diverse stories to children. Angela Dominguez was born in Mexico City, grew up in the great state of Texas, and now lives in Brooklyn. She is the author of Knit Together, Let's Go, Hugo!, Maria Had a Little Llama, and Santiago Stays. When is enough Spanish enough?